A CMK referendum is on course to make history, writes MK News 13 April 2015. 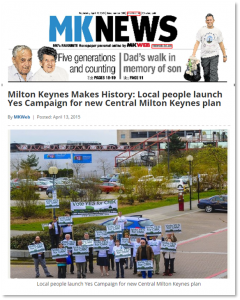 On Monday local residents gathered at The Point – ‘once the beacon of the future’ – to mark the start of a ‘Vote Yes’ campaign in favour of an ambitious new plan for the future of Central Milton Keynes. 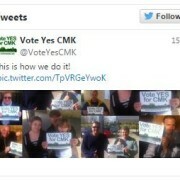 The CMK Business Neighbourhood Plan – a 120 page document – is the first of its kind in the country to go to referendum. 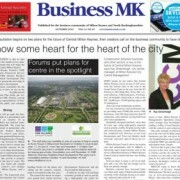 Read the MK News Article. Improve CMK’s social, sporting and cultural life with new facilities. 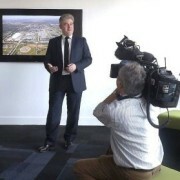 A truly green city, with a healthy, leafy landscape and low carbon footprint. 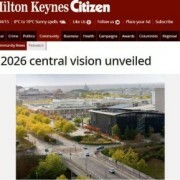 The proud flagship of the entire borough of Milton Keynes. 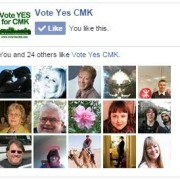 Since CMK is a commercial area, there will be two separate referendums – one for residents and one for businesses. 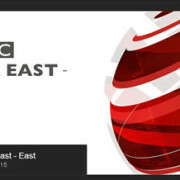 Find out more about voting in this historic referendum.